On Wednesday 28 March at 10.00am CET, tickets will go on sale exclusively for members and holders of the commitment card for the Copa del Rey final which is to be played at the Wanda Metropolitano Stadium in Madrid on 21 April. The sales period will end on Monday 2 April at 7.00pm CET or when all the tickets have been purchased. As such, there will be a period of six days in which tickets can be purchased directly from the Club’s website. The price of the tickets begin at 45 euros with the most expensive being 190 euros. At the moment of purchase members can decide, subject to availability, the price and stadium zone for their ticket. Those members who requested tickets in the initial period and who have yet to purchase them can do so in this new sale period. The 30 euros deposit will be discounted from the price. To request tickets the key and personal code is compulsory. The key can be found on the members’ card and those who cannot remember their personal code can recover it via the following link: Recover code here. The tickets will be personal and they will be available only in Madrid with the corresponding bracelet to the member who purchased the ticket with DNI or passport needed as proof of ID. For those aged 18 or less, tickets can only be collected in the presence of parents/guardian or other with authorization via the parents with a photocopy of their ID card and family book. No tickets can be collected to those not authorized by purchase and money will not be returned for unclaimed tickets. This process, which has been used for away games this season, attempts to guarantee use of the tickets for official Club use and to avoid any possible fraudulent use of said ticket. FCBDesplaçaments are offering the chance to travel to see the final by train (150 euros) or by coach (35 euros). 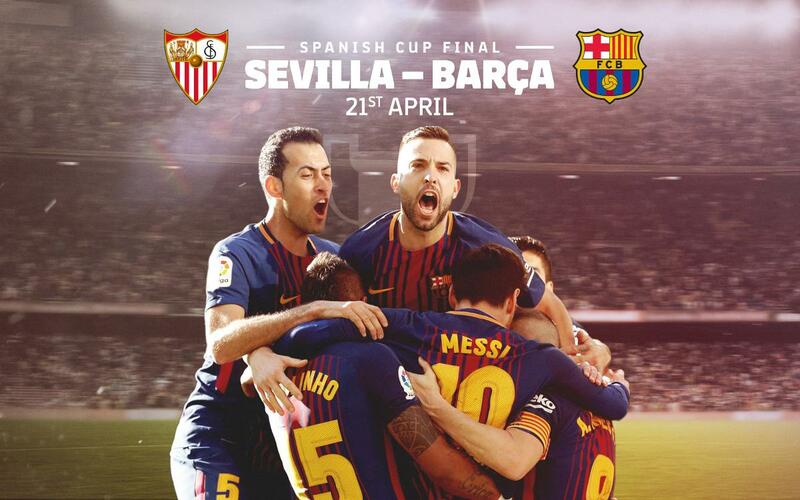 The train will leave Barcelona-Sants and from Girona on the day of the game and will leave once the final is over. For members who wish to travel by coach, options are available from Barcelona, Girona, Lleida and Tarragona with the return also immediately following the game. A new option is a coach leaving at 12.30am as well as the usual departure time of 5.30am on the day of the game.